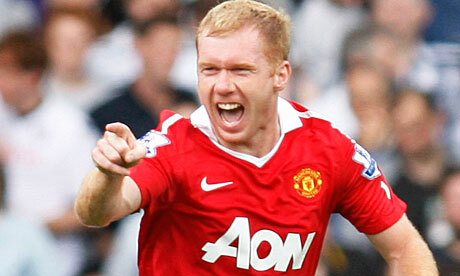 Is this the end for Paul Scholes? Quit England in 2004, Nine more years as a United player. The Daily Mail and The Sun claim the Manchester United legend is set to call it a day once and for all. The Player's Player, widely regarded by the great and the good as one of the world's most accomplished midfielders, is 38. Can he give any more? Will Sir Alex Ferguson tempt him to stay on? On Mayan Day, Jonny hints that the end of the Scholes is nigh. "You can only beat the opposition put in front of you", goes the old saying. But Arsenal did it with a panache and style as they thrashed Reading 5-2 at the Madejski. They have creativity and goals all over the park. So Jonny asks, "Crisis, What Crisis?". Instead, it's more apt for Reading who look deep in the mire. If you're bottom at Christmas, only once has that team ever avoided the relegation trapdoor. For Reading, they're the only team yet to break into points double figures. Calls for Arsene Wenger’s head from sections of the Arsenal faithful have a more resigned than hysterical tone. 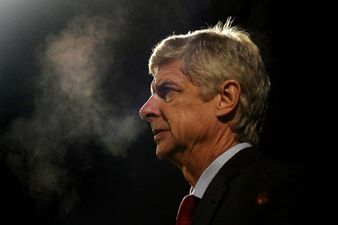 Despite fielding big-hitters, Wenger's charges were knocked out of the Capital One Cup quarter-finals by Bradford City from the fourth tier of English football. In bygone years, the Professor would experiment with kids as his starting eleven grappled with winning the Premier League. But it's no surprise Cazorla, Wilshere and Co appear now. This was a clear opportunity to land silverware to end an eight year drought. But there've been darker moments in the barren years since winning the FA Cup. This might indeed be the Gunners' worst start to a Premier League season but last year was pretty ordinary too. At one point, they had a -15 goal difference having lost 8-2 at Manchester United and 4-3 at Blackburn. The bookies quoted shorter odds for relegation than winning the title. But in the end, Arsenal finished third above Spurs and European Champions, Chelsea. Remember the feeling boys, the highlight of your career! 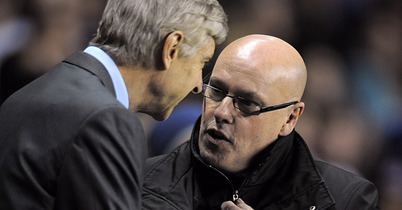 So Bradford taunts at Wenger of “you'll be sacked in the morning” won’t be vindicated. Wenger's web of influence and planning is too thick at the Emirates. It's no exaggeration to describe him as a director of the club. There's murmurs from Arsenal fan groups like the Black Scarf Movement that Wenger carries out the will of the ownership with scant regard to the supporters, to defend his multi-million pound salary. But I’ll stick a caveat in here. He isn't unsackable. The Alsatian won’t be retired at least while the Gunners are still in the Champions League and the FA Cup. After the heady days of the nineties and noughties, winning the Premier League is a step too far but as long as Wenger’s tussling for any silverware, he’ll remain fresh bread – not toast. A collage of games across the whole continent. He's been at it again! The Europa League will descend into history with the Champions League set to be doubled to 64 clubs, but now attention's turned to an austerity version of the Euros. Michel Platini's radical plans for the future now extend to a complete revamp of the European Championship. 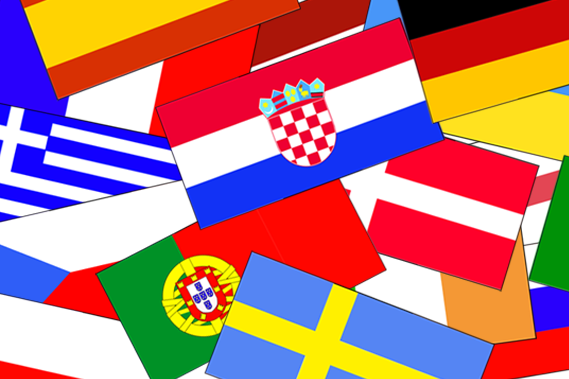 No longer will the Euros be camped in one or two countries. From 2020, the UEFA President wants to play the games across the whole of Europe. But why is he making such a huge change to the way tournament football's been played? Even the fledgeling World Cups of the 1930's were played in one nation. Jonny looks at the Big Idea.